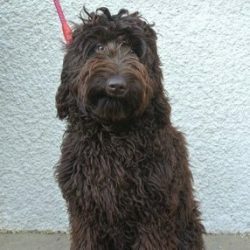 Hershey is a wonderful chocolate, medium size girl with a silky soft fleece coat. 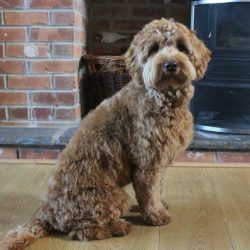 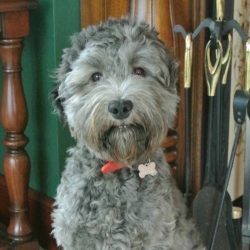 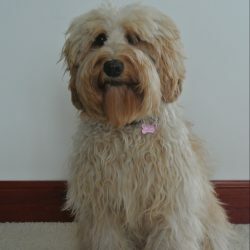 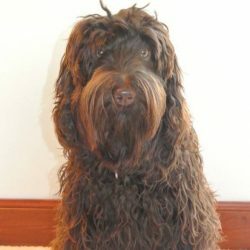 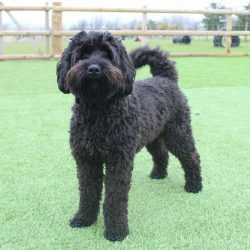 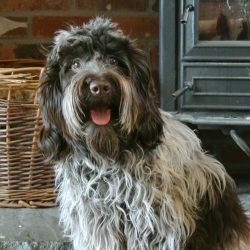 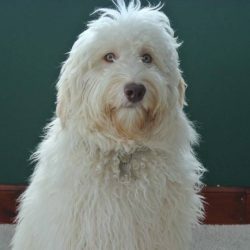 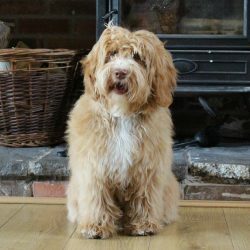 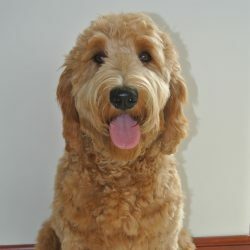 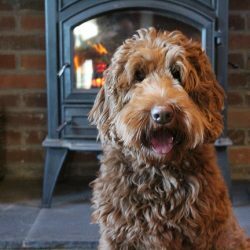 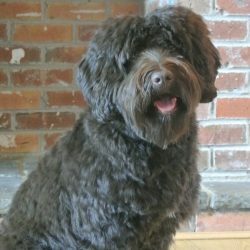 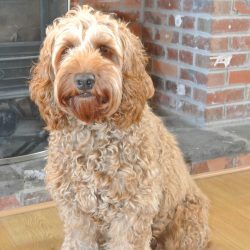 She is beautifully put together and has the typical Australian Labradoodle happy-go-lucky temperament. 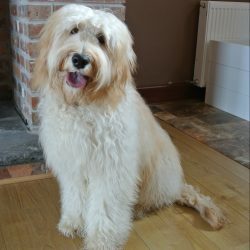 We are excited to see her first puppies grow up in 2019!